The Most Inspirational High School Football Player EVER! TWC Austin News Reporter Lauren Mickler interviewed East View High School Football Player Apollos Hester. The Patriots triumphed over Vandegrift by one point. 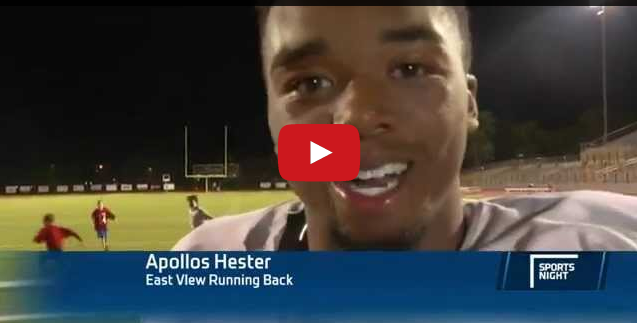 Hester’s post game interview was one of the most inspiring interviews ever captured on Sports Night High School Blitz. Check it out, SHARE and inspire someone you care about!